Monell Breckenridge Bostick went to be with her Lord on the evening of November 17, 2017 after a long illness. Monell was a devout Christian and devoted member of Bayleaf Baptist Church, which she attended for many years. Hailing originally from Mississippi, she had lived in Raleigh since the late 1960s when she and her late husband moved from Alabama for his job at IBM. She was preceded in death by her beloved husband Jack Edward Bostick, her parents Harvey and Neva Breckenridge, her sister and five brothers. She is survived by daughters Mary Nell Jenke, Martha Lakey and Jackie Sporman, all of Raleigh. 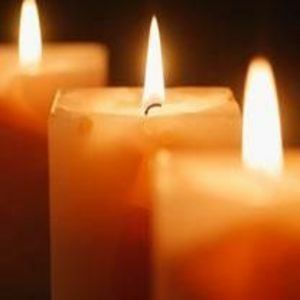 She was the loving grandmother of six grandchildren - Stephen Jenke and wife Shannon of Raleigh, Scott Jenke of Bentonville, Arkansas, Karen Fuller and husband Patrick of Cary, Michael Lakey and wife Denise of Raleigh, Eric Sporman of Raleigh and Stacey Sporman of Raleigh. She was also blessed by her seven great-grandchildren - Blaine Wiles and wife Joy, Kara Lakey, Christopher Jenke, Jack Lakey, David Jenke, Adam Fuller and Paige Fuller. She was loved by her neighbors and friends, including those from the Ruth Sunday School Class at Bayleaf. Pallbearers will be Stephen Jenke, Michael Lakey, Eric Sporman, Patrick Fuller, Blaine Wiles and Lee Warner. The family will receive visitors at 1:00PM on Monday, November 27, 2017 at Bayleaf Baptist Church with a funeral service to follow at 2:00 PM in the church sanctuary. Burial will follow the funeral. Those seeking to honor Monell could give flowers to a pretty lady or made a donation to Bayleaf's Missions Program, Transitions Hospice of Wake County or the charity of your choice.